Home Wearable News TomTom GPS Runner. The TomTom Runner is one of the best Running GPS devices on the market. The device gives seamless performance on GPS, thanks to TomTom’s years of experience. TomTom is world’s leading manufacturer of navigation and location based products and services. The TomTom “Runner “is their leading product in the fitness industry. The TomTom Runner is more than just a Running GPS , it keeps track of all your activities and performances and helps you train better. Previously TomTom had been providing GPS services to the likes of Nike and other sports devices, but this time they decided to go solo and came up with their own fitness device. TomTom may be new to the field but the Runner is by no means a mediocre device and would cost you around $169.99 on Amazon. The first thing you would notice about the TomTom Runner is its huge attractive LCD display, which narrows out the bezel. The Display is scratch resistant and exhibits bold and bright characters with backlight, bright enough to illuminate characters in evening sun. The display makes it very easy to use the device. Four one touch buttons surround the display, along with three dots which when pressed activate the backlight. A perforated, slim and light wrist strap holds the GPS unit. The wrist strap which is made of rubber is very comfortable. The inside of the wrist strap features bumps which helps to avoid contact of strap with skin. The GPS unit has to be removed from the wrist strap to be charged. The Unit is considerably lighter than other Running GPS Devices and hardly weighs 50g. The device is pretty durable and even waterproof up to 50m. It can survive a shower or a swim without breaking a sweat. TomTom has claimed 10 hours of battery life, however we found the battery life may reduce with heavy usage of GPs and Bluetooth connectivity. 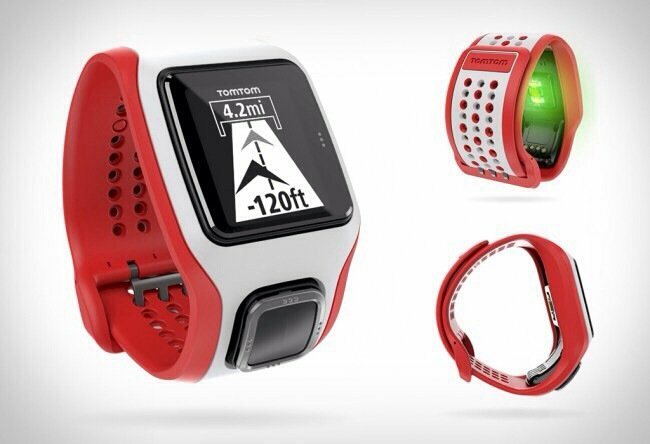 The TomTom Runner comes with more features than a simple Running GPS. The device is a perfect training companion and can keep a track all of your activities and performances. With the built in accelerometer you can record distances, pace, average speed, time taken to complete your runs/workout and calories burned etc. The device comes with Bluetooth support and can be synced up with a number of apps and other training devices. The most important Feature than TomTom could add to a fitness device is the GPS functionality. With the QuickGPSFix technology, the company has exceled in the field. 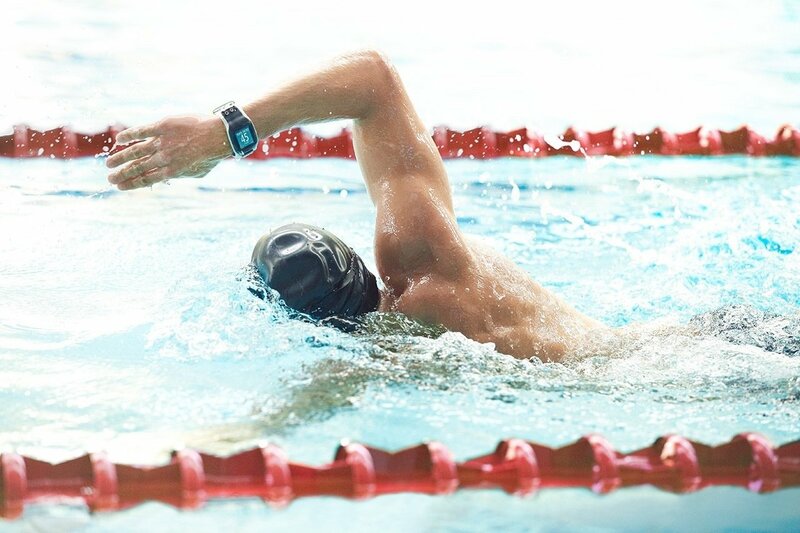 Many fitness watches of today face GPS issues with considerable lag and dropping of signals. TomTom has fixed the problem with their technology so that their device never loses a signal and to improve signals strength, they have separated the GPS Receiver from the display unit. The device also features a regular 24/12 hour watch, with alarm and stopwatch functionalities. The device keeps a brief record of your runs and achievements, and would notify when you break your previous records and motivates you to always achieve more. When you are done with your run/workout, you can upload your stats to the TomTom website and uploading is really very easy. 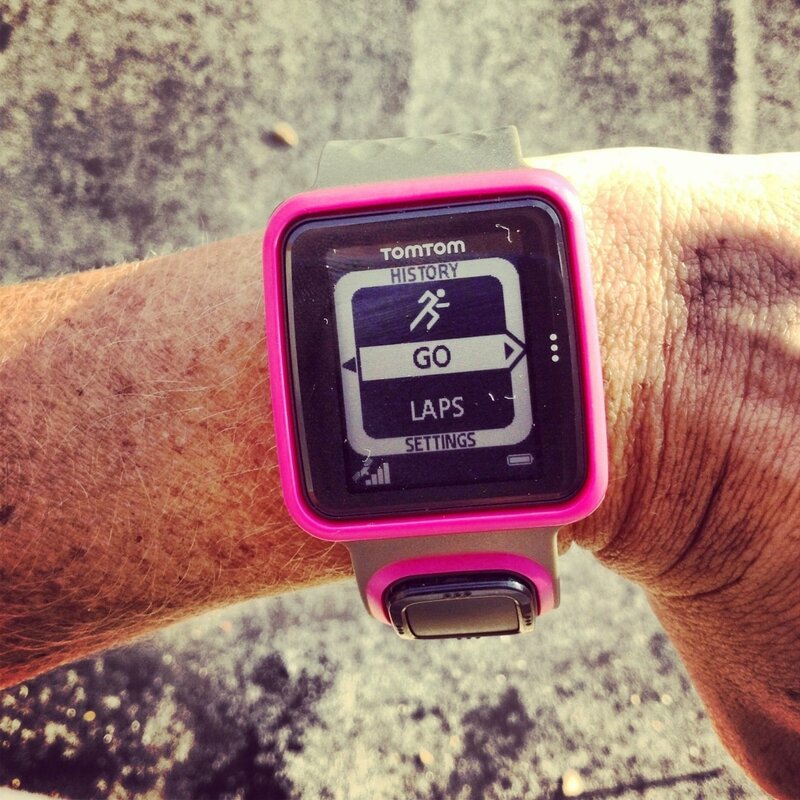 The TomTom Runner is a great device for both casual and professional athletes. The QuickGPSFix technology makes it one of the best devices on the market. We really loved how comfortable to wear the device was. Whatever the device recorded was pretty accurate and marginally better than its rivals. The graphics on display of such a device are very pleasing and motivating. Burntech gives a green light to all the fitness freaks and runners out there to buy the product.